I don’t know how it works in your family, but in mine, school mornings are not our best time. Try as we may to make them run smoothly, they are inevitably rushed and often stressful. Truth be told, those busy hectic moments are definitely NOT when our best parenting happens! But over the years both my husband and I have learned that the key to combating morning chaos–at least a little–is to prepare ahead as much as possible. Following a Sunday Prep plan helps a lot, as does having a plan for quick & easy lunches that will come together fast. 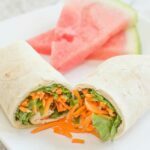 These make-ahead lunch wraps can be easily stored in the fridge for up to 3-5 days & can be customized to your child’s taste. My girls both really love hummus so we have opted for that rather then mayo. It also provides some extra protein into their diet, and adds flavor without being too soggy. 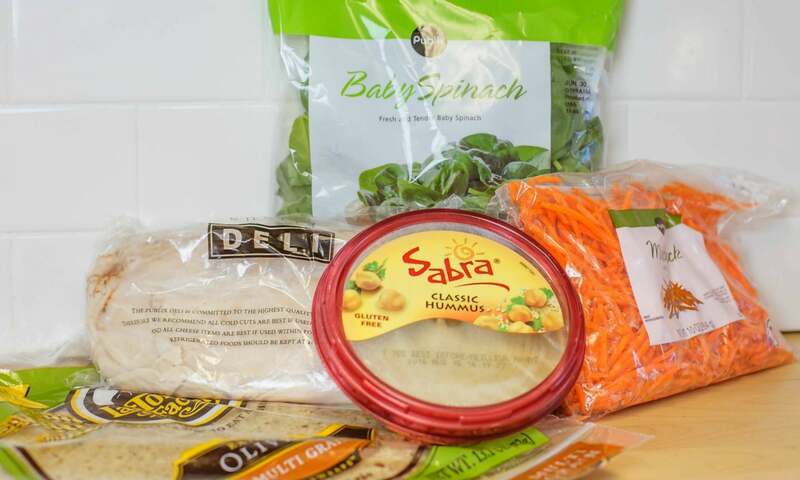 However, if your child doesn’t like hummus you could easily sub out the hummus for cream cheese instead! 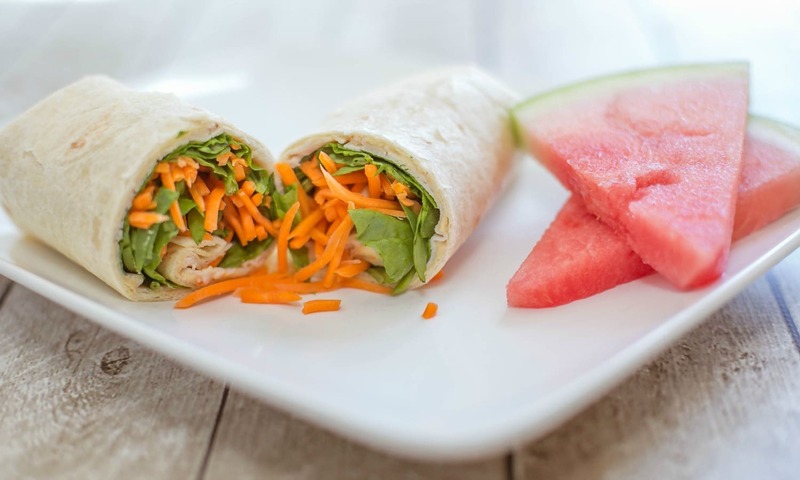 We have found that these wraps stay fresh and and the veggies stay crisp and full of flavor all the way to day 5. 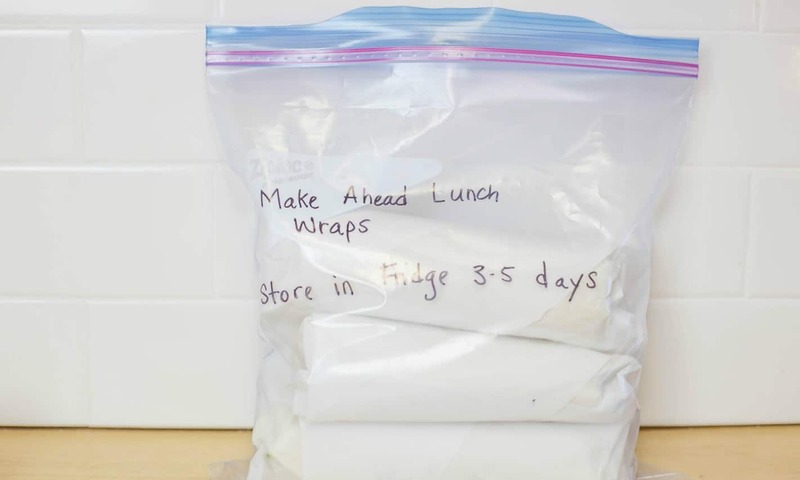 If packing them in a lunch box be sure to include a freezer pack to keep everything cold until lunchtime! 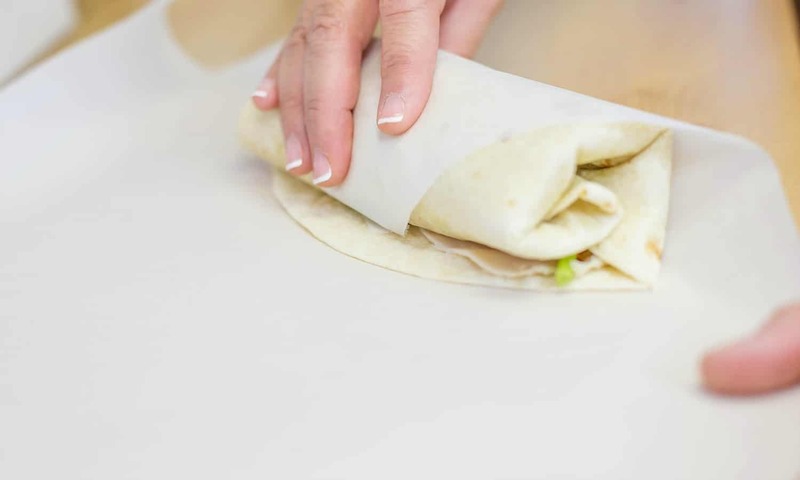 Prep: Cut 10 pieces of parchment paper large enough for each tortilla shell. 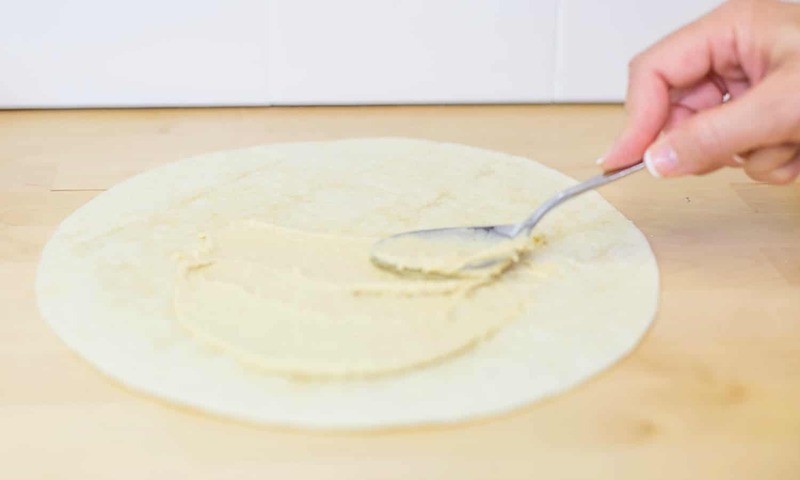 Place one tortilla shell on a piece of parchment paper (lay diagonal). Step 1: Spoon one-two large tablespoon of hummus on to tortilla shell and spread out. Step 2: Add 2-3 slices of turkey meat. Step 3: Then add several baby spinach leaves and carrots to tortilla shell. Step 5: Keep in fridge for 3-5 days. Perfect for lunch boxes or picnics. 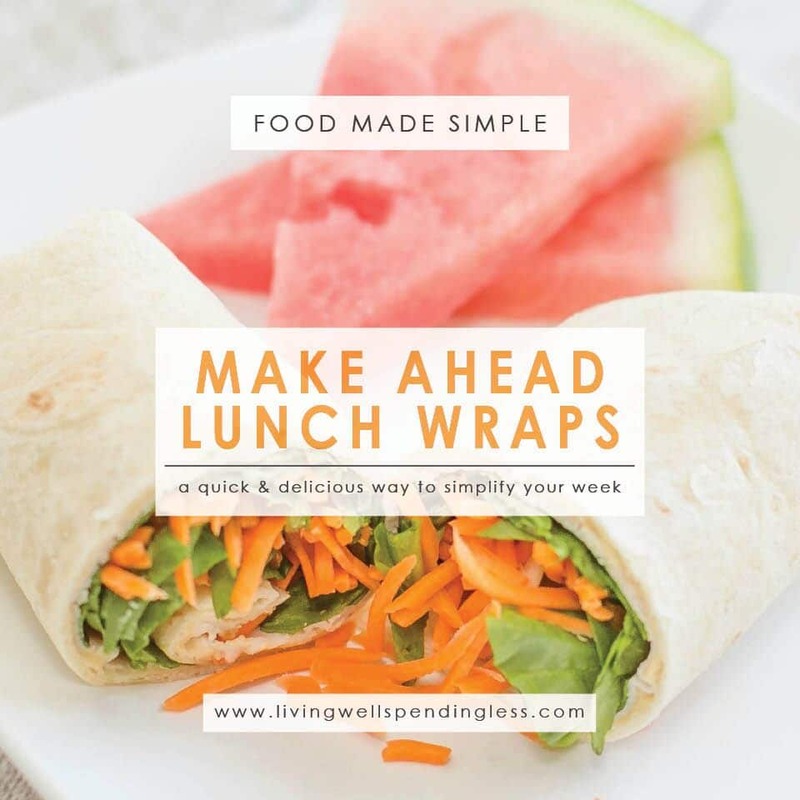 These make ahead lunch wraps are the perfect solution to lunch on the go. 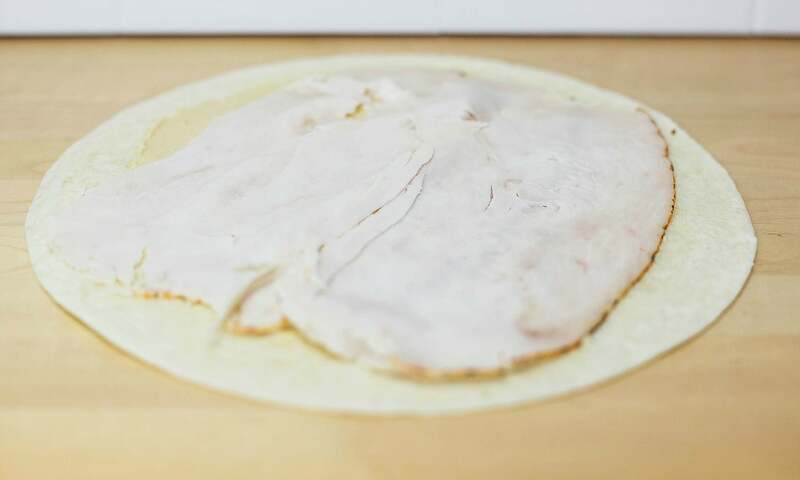 Prep: Cut 10 pieces of parchment paper large enough for each tortilla shell. Place one tortilla shell on a piece of parchment paper. Spoon one-two large tablespoon of hummus on to tortilla shell and spread out. Add 2-3 slices of turkey meat. 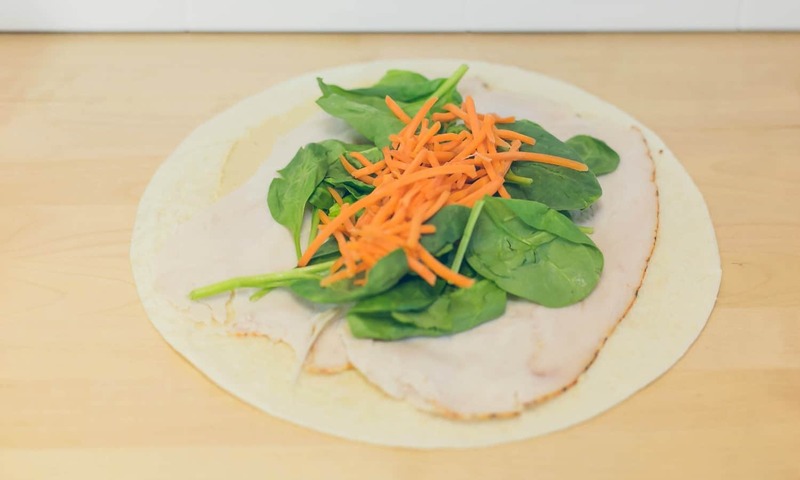 Then add several baby spinach leaves and carrots to tortilla shell. Keep in fridge for 3-5 days. Perfect for lunch boxes or picnics. Preparation time: 5-7 minutes. Number of servings (yield): 10. 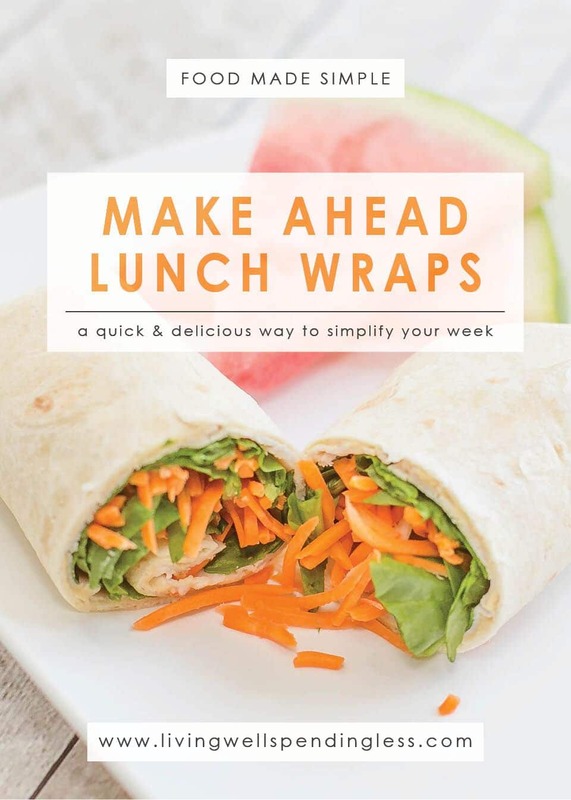 Share Your Thoughts: Do you have any variation ideas for your own lunch wrap creations? Thanks for the great idea. I had not thought of doing wraps ahead of time. This is a great option to make ahead salads. how long does it take for the wraps to defrost , do I take them out of freezer the night before and put it in fridge for school lunch please ? When I tried this last week, my wraps were very soggy by the third day. Any tips to prevent this?